The rest of us will have to make do where we are. Happy E-Fest all you folks out on the Pacific Coast! Lipstick, false eyelashes, pearls, nice looking pig! Awww…..missing E-Fest and missing the beach today. Will park on the back porch with an Anne Perry novel instead. Have fun Erunner and gang! To all at the E-fest. Have a wonderful time! Blessings to all. Music is up for the week. Feel free to drop by and have a listen. Hoping everything goes well with us today as we gather together!! The greatest thing about sermon prep is what you learn while in the process. I’m getting ready to exposit the Lords Prayer and saw something stunning…that I’d never really reckoned with before. Believe, you could pick me up on the way down next year. We could solve the world’s problems on the way down and the church’s on the way home. Michael, are you going to share with us today, or use it for a thread opener? Have a wonderful time, and will miss you! We’ve had discussions before about if someone must repent before we forgive or if we just are required to forgive unilaterally…I’m not sure, but I think this answers that. you guys all have a great time together. wishing I was there. My only question is this…are we called to be ready to forgive if the offender is repentant or just forgiving…period? God does not forgive the unrepentant…does He? Well… it seems to me we are given no caveat …. no reprieve … no release. How much more unconditional can you be than by saying, “whenever”? question: how does forgiving differ from pursuing justice? cuz isn’t that sometimes called for? They are two separate things…we can forgive while still holding someone accountable. I think of criminals who convert in prison…they are forgiven, but they still have to receive justice. It looks from the human perspective that they knew what they were doing. And I don’t see anyone repenting or asking for forgiveness. I too have looked long and hard for loop holes. My pastor warned me long ago and I’ve given this to others and had to use it personally often. It is tough when “they do know what they do…and hurt you anyways…and then lie and cover over and hurt you more by removing the most sacred relationship one has outside of Christ”…. This is a lot more fun than post marriage counseling. Sunday am, (this is for Em’s last post) is pre-funeral counseling. Are you speaking of when someone becomes enraged to by buried??? best wishes to all at the E-fest…moderately jealous here, up to my armpits in weeds & abatement. Earning a cold brew for sure. In Leviticus we find that there are two kinds of sins against God, unintentional and intentional. According to what I read in scripture and in Jewish teachings the blood of the atonement was to cover unintentional sin. Lev 4:2. The Hebrew here is interpreted in NASB as unintentional or out of ignorance. Now what do we, or the Lord, do those who know what is right sin any way, or intentionally sin? How is that made right? For a Christian our atonement is the blood of Jesus, not lambs, goats, grain, birds or any other thing which was temporary. If His blood fills this requirement then what do we do after we intentionally sin? In Leviticus it appears to be called a “guilt” offending and requires repentance and restitution, especially if it brings harm to others. How does this apply in a Christian, post resurrection, world? Maybe there’s a lot of restitution and right living many of us are missing? What kind of things do we do intentionally under the guise of grace? What things do we do knowing that it is sin but do it anyway and how do we make it right? Mat 6: 14* For if you forgive men when they sin against you, your heavenly Father will also forgive you. 15* But if you do not forgive men their sins, your Father will not forgive your sins. And we are called upon to even love active enemies, so no repentance required before we need to forgive. Remember to forgive does not mean you are reconciled. To reconcile requires repentance. Mat 5:43* ¶ “You have heard that it was said, ‘Love your neighbour and hate your enemy.’ 44* But I tell you: Love your enemies and pray for those who persecute you, 45* that you may be sons of your Father in heaven. He causes his sun to rise on the evil and the good, and sends rain on the righteous and the unrighteous. Linnea, a joyful countenance, eh? To reconcile with someone is much more complex than forgiving them. To be reconciled with someone means both parties agree and see the sin for what is really is, and then and only then can they move forward. The offender not only need to confess that they sinned against the offended, but they need to convince the offended that they really get it. That they understand how their sin hurt the person, and the offender needs to be willing to revisit the sin as often and the offended needs to revisit it, until the offended is really healed and trust is really restored. and to win back trust once you violated that trust is one of the hardest things to do. to be forgiving, to be loving, to be Christ-like. My flesh really likes being in the right. That is when I’m in the greatest danger. Now, I’ve got a graduation open house to attend. OK no takers for the Intentional sin and Leviticus verses permanent atonement through Jesus’ blood.. I really will sit back and just read what you have to say. This has bothered me and brought questions to my mind for many years. Bob, I’ve been multi tasking…I think it’s a good topic. “Leviticus 16 gives detailed instructions for a special sacrifice to be offered once a year, on the tenth day of the seventh month. On that day the whole community of Israel was to gather at the tabernacle (and later, the temple) to fast and to pray. The high priest followed carefully prescribed steps and entered the inner room of the tabernacle, bringing the blood of a sacrificed animal. There he sprinkled the blood on the cover of the ark, called the mercy seat. This animal was a “sin offering for the people” (16:15). It is specifically said to have been required “because of the uncleanness and rebellion of the Israelites, whatever their sins have been” (v. 16, cf. v. 21). That sacrifice was an “atonement … to be made once a year for all the sins of the Israelites” (v. 34, italics mine). Following that sacrifice, Israel was told, “You will be clean from all your sins” (v. 30). Richards, L., & Richards, L. O. (1987). The teacher’s commentary (111). Wheaton, Ill.: Victor Books. MB…chills in regards to the CHS quote. “Forgive us our sins as we forgive those who sin against us” has always kind of bothered me. You know, one of those hard sayings of Jesus. Thanks for the commentary y’all; keep it coming! E-Festers, jealous…but looking forward to the pics and stories nonetheless. It’s Open Blogging…so here is my favorite secular author on the city of Juarez. done weeding…for today. As promised: Bridgeport “Hop Czar” Imperial India Pale Ale. Hits the spot…and what a spot it is. Just got back from E-Fest. Great company, great food, great discussions! Man, I’m sorry. I didn’t make the connection between my post on the topic at hand and saying what I was doing next so I missed your pun. I agree, but can we live anyway we want then? This web site keeps bring up fallen men, so how about them? Michael: I’m not sure about the commentary’s position. It seems to me the sprinkling of the blood was part of the unintentional sin offering, if I read it right. My personal take is, the atoning blood, both the temporary and the permanent from Jesus, covers our sins, all of them, and makes a connection with God. But, I think even under Jesus we have an obligation if we find ourselves in sin, intentional or not, to bring it to God and if it involves others to go and make restitution. Jesus teaching seems to be very clear we can live in unforgiven sin but are still covered by His blood. So if we continue in unforgiven sin that is intentional it seems to me we will pay a price for it. Just look at what happen to Haggert, Swaggert, and others. Jesus accomplished a propitiation – the same word as mercy seat. Atonement is a covering..Christ’s blood did not simply cover our sins, like the OT sacrifices were limited in doing. E-Fest was great. Wish more could have been there. Got to meet Dusty & Buster along with the regular crowd. Oden allowed sinners in his church? Inconceivable!!! Got into some deep stimulating conversations today at E-fest. My regret is that we can’t spend more quality time with everyone who attends. But we’ll soon be together in the kingdom and have plenty of time to catch up! Had a great time at Efest. It was great talking to MLD and Buster and everyone else there. I just sent out a bunch of ‘friend’ requests on facebook for people I saw today… so if you get one, it’s from me (hey, erunner just confirmed me as a friend… thanks). Looking forward to the next time we can get together. Today was a great day being with friends from this blog. It was great to see buster and dusty together. Buster looks like Magnum P.I. 🙂 Had the only Hawaiian shirt today! Oden set up early and the church looked beautiful and I want to say thank you for allowing us to gather at Poiema for the third year! What a gracious host! There is always such a peace that is present whenever we gather. Folks with differing opinions sharing in a very natural and relaxed way. It is a glimpse of how things can and should be when we come together in the name of Jesus. Michael. You were missed big time. Lord willing you will join us next time. These gatherings are another way the PP has been used by God to establish real life friendships for folks from all over the country. There are some really remarkable people on this blog and sitting back and listening to them talk when we gather is worth the price of admission. What a blessing Efest was! Wish we could have stayed longer, but thankful for the time we had. Erunner, Thank you for all of your hard work putting it together! So nice to meet people face to face. Thank you all for welcoming us to E-fest! What a special time! Michael, you are blessed man to have such community of the believers a part of PP. I look forward to being a more active part from today on. E-runnner and Oden were wonderful hosts. It was a truly rich time. Just for clarification…the Reformed position is not that one can sin with impudence. The Reformed position is that all of our sins were paid for at the cross and there is “no condemnation” for those in Christ. Those who sin in willful rebellion are subject to the discipline of God. For the record, she really does have a memory like that…when we first met she would rebuke me by quoting entire sections of the book of Jeremiah. That’s how I know it’s a work of God and not my flesh…and the reason I haven’t retired. 2Pe 3:18* But grow in the grace and knowledge of our Lord and Savior Jesus Christ. To him be the glory both now and to the day of eternity. Amen. To grow in Grace. We always think of the Grace of God towards us as His unmerited favor. I think we can all understand if I said “God gave me the grace I needed to deal with that situation”. But to grow in grace. To have a continue forward growth in that attribute. 45* so that you may be children of your Father in heaven; for he makes his sun rise on the evil and on the good, and sends rain on the righteous and on the unrighteous. 46* For if you love those who love you, what reward do you have? Do not even the tax collectors do the same? 47* And if you greet only your brothers and sisters, what more are you doing than others? Do not even the Gentiles do the same? 48* Be perfect, therefore, as your heavenly Father is perfect. oh. Reality Tv…now the whole “we’re going to help people” thing makes sense. It was so much fun today. Thanks so much to Erunner & Oden for making it possible. It was really great meeting everyone, and I wish there had been enough time to talk at length with everyone. It’s such an amazing thing that people from so many walks of life can come together and find genuine fellowship. Makes me wish I lived closer. You guys would make a great home church group! I actually have zero problem with that. Heck, if people get helped then more power to them. That would actually be an AWESOME job…getting paid to figure out which people to help and how to help them!! How the heck cool would that be?? It was also fun to reconnect with all the PP E-Fest veterans. Thanks again E-Runner and Oden for your gracious hosting. WOW…A Believer, great to see your name here!!! What they do or don’t do really doesn’t have any impact at all in my life so I don’t care one way or the other. Just was being a bit silly. AB- where the heck have you been? 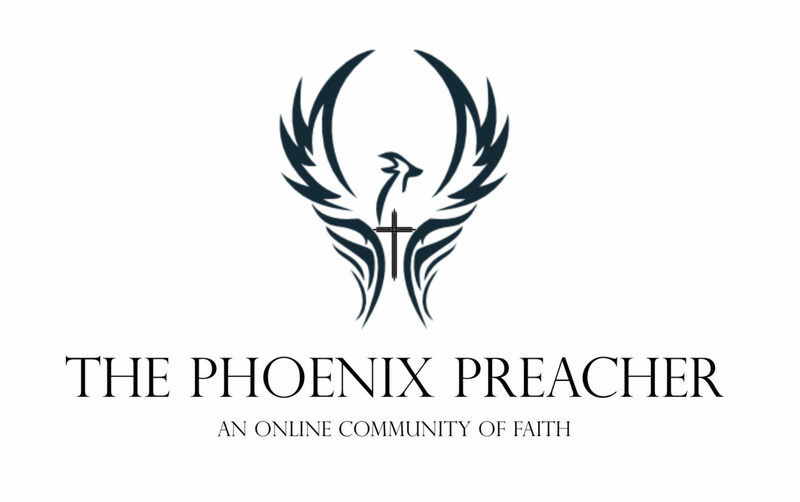 Has anyone ever actually left the Phoenix Preacher permanently? I’m never really totally gone, …just enjoying periodic lurker status. Plus MLD won’t let me opt out of E-Fest due to lack of current participation! About a month ago I wrapped up a huge 2 month project. Then with no break rolled into another even larger project which I am still working on. I’m laying out and completely illustrating a children’s book. This one has 32 full illustrations in it and when that’s done, they want me to do another one. Beats me MB. Guess it’s better than having Dr. Drew do it. He does that kind of work on tv all the time minus the spiritual context. There’s all kinds of folks that would let their “dirty laundry” be broadcast to the world. Look at Dr. Phil or Oprah or any of those type of talk shows. People talk about their most intimate moments on those kind of shows every day. I’m pretty sure getting people booked on a show like that would not be difficult at all. The only difficulty would be trying to figure out which of the many, many people willing to do it you’d choose. And why not a ministry-based TV show? It’s not a world I’d live in (unless they paid me big money to work for the show 😉 ) but, some people would. All of this of course is total conjecture and completely made up as neither of us have any idea if that rumour is true or not. Personally, again….I don’t care one way or another what they do cause it’s not impacting me in any way. Ok..it’s 1:30am where I am and I gotta get up early to grab a plane. AB…wish I could have come this year. Missing the beach and E-Fest! What a wonderful day. Got to see a bunch of friends from PP. what was VERY evident today was the love that everyone had for God. It was way cool to hear the joy in everyones voice as they talked of the goodness of Jesus. missing In-n-Out and Efest…… hopeful toward next year. I’m glad to hear of the good reports. I do hope you feel better, headaches can be a real struggle. God be with you and heal you. Made it back to Bakersfield, head home tomorrow. It was good to see everyone, and place. more names to faces! Wish I could have stayed longer. From my neck of the woods this is by far the worst sin of fellowship a Christian can commit, to need, seek, lean, ask or in any other way require help. I always found that strange, it is extremely clear in the modern apologetic, which has nothing what so ever to do with the historic Christian faith. But sense this is the central focus of many in the Christian Industry it is relevant. I for one am extremely reluctant to ask for “help” I try very hard to avoid such events. From my first days of being a Christian it was made extremely clear, dont ask, ever. I have not for the most part in the real world. I have here at times, something I am ashamed of at times, but find comforting in another. Religion is very silly to be honest, it really is. A Believer, so good to see you here again. I am enjoying the news from E-fest and hope we can make it one year. Good point about propitiation. Hebrews spends a lot on this subject. But like entering the Holy by the priest, it says we are to boldly enter because of Jesus. The not so implied statement says we have to enter. So what are we entering with and why? Does not the idea we stil sin have something to do with it or is it about fellowship with the God, blessed be His name? ABBY!!! Good to see you! Are you able to tell us more about the project (author, subject-matter, etc.)? E-Fest sounds like a blast! Sure wish I could’ve been there. Dusty, 12 Motrin…TWELVE???!!!! Doesn’t that mess with your tummy? What does one do with a person who “does know what they do…” and does it anyways? A pastor is to be rebuked publicly when in sin. 1 Timothy 5. And, repentance, yes…forgiveness, yes…accountability…yes. What does one do “IF” the offending party does not repent? I haven’t been here a lot recently…but I consider all of you to be part of my family. I really appreciate you being there – Michael, Sarah, Buster, Dusty, Grendal, Tom Stipe, MrFixIt, ERunner and many many others – at various times in my life. EFest was wonderful! Loved meeting new friends and reconnecting with all of you I’ve shared lunch with for the now three years. Grendal! We finally meet! Hope I can also meet Monica one of these days. Dusty and Buster…SO wonderful to meet you in person. You are such a blessing. JLO, great sitting next to you and all of you……GO next year, it’s worth the ‘hike’. These people rock! HUGS! funny E-fest we a long hour drive away with heave traffic, and I had company from E-Fest but the pastors conference is 20 minutes away with no traffic, and not even a phone call.. like long friends and am not invited to attend the conference anymore — ummm makes one wonder who one’s real friends are doesn’t it. I would fly across the country to visit with you. That saddens me that no one from the conference came to visit you…it is their loss!! I mean that with all that is in me…their tremendous loss. I had some thoughts in the back of my mind of riding my Hog down there and hooking up with you for a run.. as it worked out (or didn’t), I didn’t attend. But don’t be so hard on them, we live in an out of sight out of mind world. There were some guys that post on this blog and another one that I participate on that attended a small preaching conference last spring. They were only 45 miles from here and I didn’t get any contact either, but I figured as such. It’s what it is…. We have many acquaintances and few friends. Thanks for thinking of riding with me this year, but I couldn’t have left the house anyhow. I have no helpers to be with Debbie until July so apart from quick runs to ge groceries I am on lock down ..
yeah, well dmw, we could have parked our Fat Boys in your driveway and just hung out in your living room……. The one hour drive to efest ended up taking two hours due to the two accidents on the 91 fwy. Next year I’m making my husband take me on the Harley. meanwhile back at the church everyone is spinning there wheels on exercise cycles going no where and call it service when they ignore something so basic as visiting the sick ??? If I there pastor falls off their radar after serving them 30 years, how much more did they ignore others who were sick and simply because they are out of sight and out of mind..